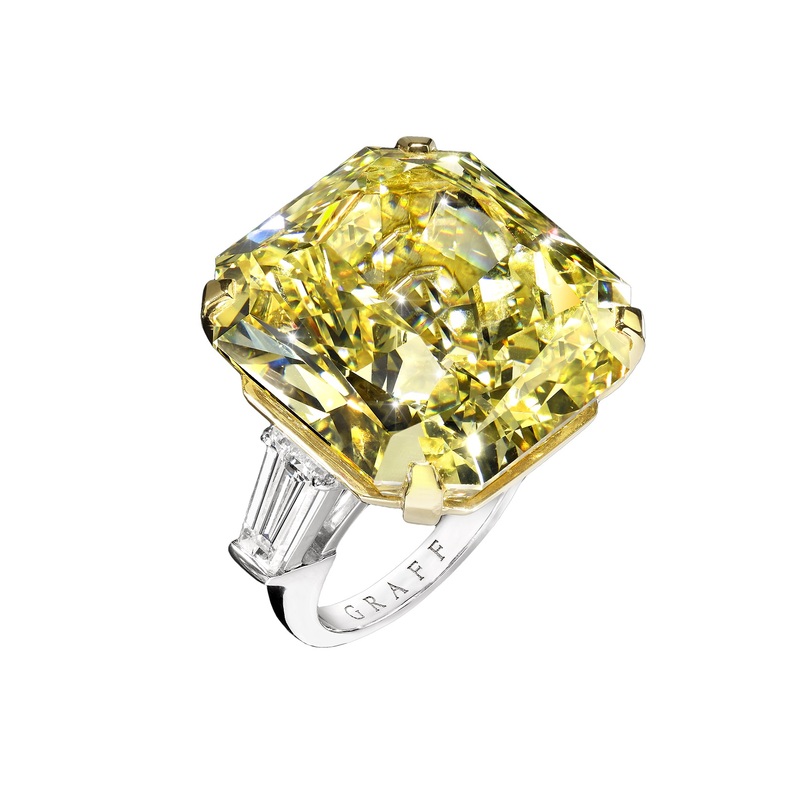 Just a few hours ago, a yellow diamond ring made by Graff sold at Fellows for over £1.1 million, smashing the low estimate for the piece. 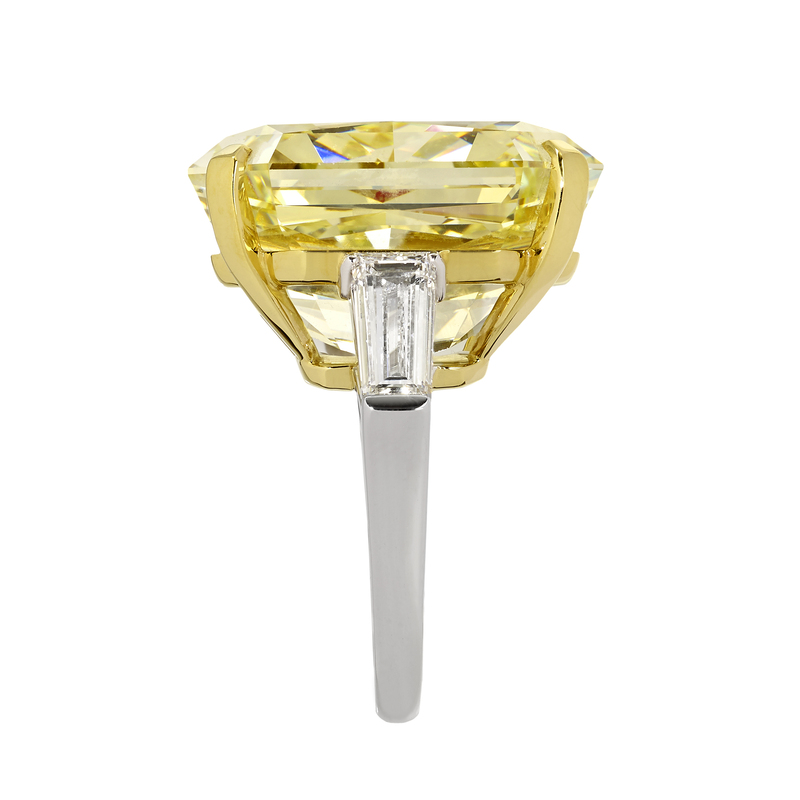 The 43.59 carat Fancy Intense Yellow radiant-cut VS2 diamond was set between two white tapered diamond shoulders at 1.62 carats in total. 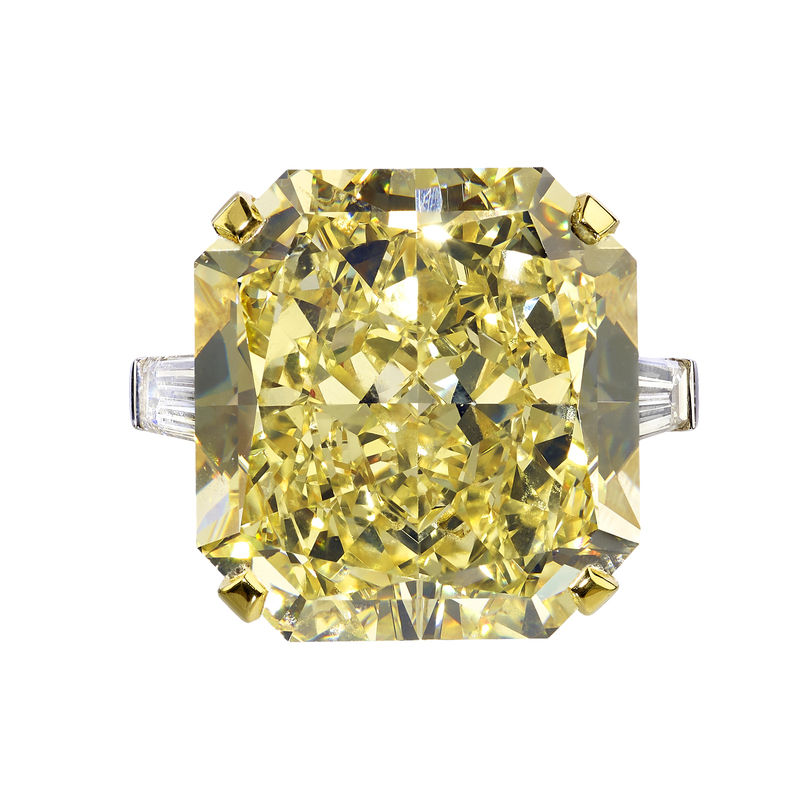 This significant yellow diamond was the centre piece of an exquisite ring created by Graff Diamonds. The piece went on sale this morning at Fellows in Birmingham's historic Jewellery Quarter. After furious bidding across two phone lines and in the room, the hammer went down at £1.1 million . Including buyer's premium at 23% (plus VAT), the ring sold for £1 307 600. This breaks a house record for Fellows, the ring has achieved the top price in the UK for a regional auction house this year and the first seven-figure bid from a regional saleroom since 2012. To date, the Graff Fancy Yellow Diamond ring is the most important and the most expensive item to sell at the in Fellows' 141 year history.